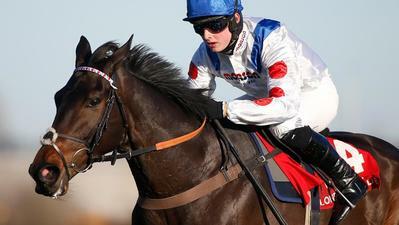 It’s an enormous treat for National Hunt followers to get a race of this calibre so early in the season. This weekend’s Betfair Chase at Haydock is the first leg of the National Hunt Triple Crown, where the nation’s top 3 mile chasers are hoping to land a £1million bonus purse by landing this, The King George VI Chase at Kempton and The Cheltenham Gold Cup in March. 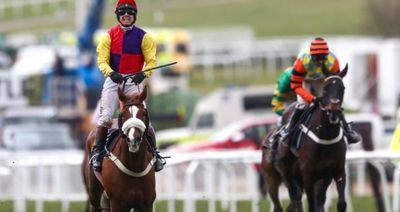 No horse has ever completed this challenging treble but this season is widely regarded as one of the best opportunities due to the impressive talents of last season’s Gold Cup duellists, Native River and Might Bite. 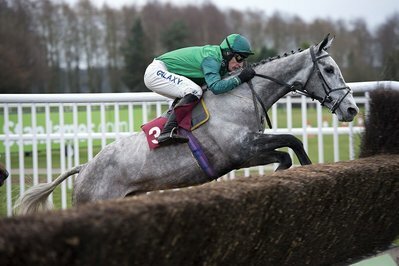 They meet again this Saturday and with three worthy rivals including last season’s winner Bristol De Mai, 2016 King George and World Hurdle hero Thistlecrack and the rising star, Clans Des Obeaux. 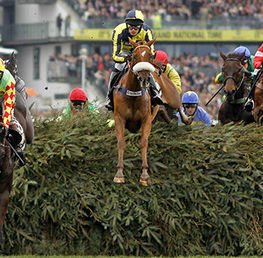 A fascinating clash beckons and whilst it’s not a two horse race by any means, memories are still fresh of Might Bite and Native River’s sheer dominance of the Gold Cup last March. MIGHT BITE OR NATIVE RIVER? It’s essentially all about the ground and at the time of writing, the predicted going of good to soft looks to favour Might Bite the most. Native River’s connections would definitely prefer a more testing surface, which would help Native River dictate matters as a stamina test. Nevertheless, the Colin Tizzard Gold Cup winner is a tenacious fighter and simply doesn’t know when to fold. And he stays and stays..and stays. The mark of a true steeple chasing champion. Might Bite therefore needs to exploit the speed option and keep Native River under pressure from the word go. Nicky Henderson’s charge has reportedly been in fine fettle and comparisons with the mighty Sprinter Sacre are already being made. 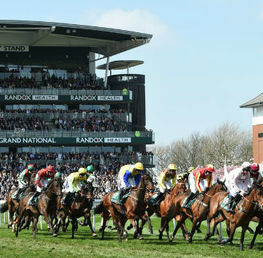 Betting firms have installed Might Bite as favourite (Evens with William Hill, Betfair and Paddy Power) and this is mainly due to the tighter track and shorter distance, along with Might Bite’s sign off at the end of the last season with his impressive 7 length victory in the Betway Bowl at Aintree. 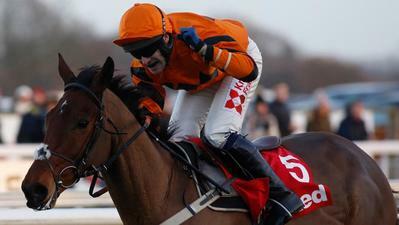 An incredible performance so soon after his gruelling test in the Gold Cup previously. 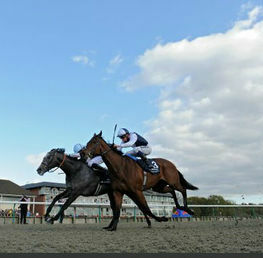 It’s easy to forget Bristol De Mai. However, by around early December last year, this Nigel Twiston Davies trained 7 year old was at the top of his game after convincing wins in this and the Charlie Hall Chase at Wetherby. However, his season tailed off after his Betfair triumph and he never seem to emulate those heights for the rest of the season. However, it’s clear that he loves this track and he revels in a truly run gallop which he will most certainly get from the likes of Native River and Might Bite. Whether he is up to their standard is another question but he should not be ruled out. The mystery card in many ways. Thistlecrack has an enormous point to prove since his spirited fourth to Might Bite in last year’s King George. He’s been out of action since with a stress fracture and Colin Tizzard has reportedly said that this will be his last season for a Gold Cup attempt. He’s working well at home and if he is anywhere back to his best then the front two will have an extra dimension to deal with. He can certainly match Might Bite for speed but it’s debatable whether he has the fitness after such a long layoff. 10/1 with Boylesports and Coral. Probably best watched although Clan Des Obeaux will have developed with age from last season and could develop into a smart chaser. 12/1 with William Hill and Boylesports. Despite only 5 runners, this fascinating contest is a tough one to call. 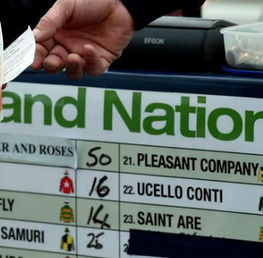 From a betting point of view, this is nightmarish territory and anyone seeking out the evens odds on Might Bite should perhaps find easier prey. He is no doubt the most talented steeple chaser in the land but he is beatable as demonstrated by his nemesis, Native River in the Gold Cup. I’m not convinced that the ground is completely against Native River and I don’t see why a tight track like Haydock should inconvenience him. Therefore, this is a race to enjoy as a spectacle and to leave the serious punting for later on in the season when we know more. If you’re going to have a flutter then I see nothing more foolish than a fiver on Thistlecrack at 12/1. Enjoy the race. It might even be an early Christmas Thistlecracker!